A small appliance that is popular among those preparing meals is a slow cooker. Often called a crock pot in reference to the Crock Pot brand, the slow cooker offers convenience, simplicity and money savings in meal preparation. Here are a few steps to keep in mind about using a slow cooker. Plan ahead and prepare your vegetables and meat the night before. In the morning, throw everything in the slow cooker and turn it on to low. When you get back in the evening your house will smell so good. The best kind of meals for a slow cooker are stews, soups, chili and sauces. The slow cooker allows you to use cheaper cuts of meat such as stewing or braising meat. After a full day in the crock pot, these cuts will have the tastiest flavors. Before you add any kind of meat to the slow cooker, make sure it is fully defrosted. Brown the meat first to seal in the flavor. Spray your slow cooker before use with a cooking spray, this will make clean-up easier afterward. You can even buy plastic liners that go into the slow cooker before you add your food; after you are done, you throw the liner away and most of the clean-up is taken care of for you. Add the more solid vegetables first, such as carrots and potatoes, then the meat, then soft vegetables such as tomatoes and zucchini about an hour before the end of cooking so that they don't become too soggy. Add pasta or rice during the last hour also. Fill the crock pot only to about two-thirds full to allow even cooking. If it is any higher than that, the food may be undercooked, and if it is lower, then it may be overcooked after the recommended time in the slow cooker. Meals can cook for several hours, depending on the heat setting. For example, cooking most meats for eight to nine hours on the low setting will leave the meat tender and moist. To thicken the juices, the heat can be turned up for the last 30 to 60 minutes. Don't lift the lid of the slow cooking unless you really need to. Frequently taking the lid off means that heat is lost and it will take a while to reheat to optimum cooking temperature. When the slow cooker is done, prepare a side dish such as a salad or bread and you have your meal. Don't be afraid to cook a large slow cooker of food even if there are only a few of you at home. 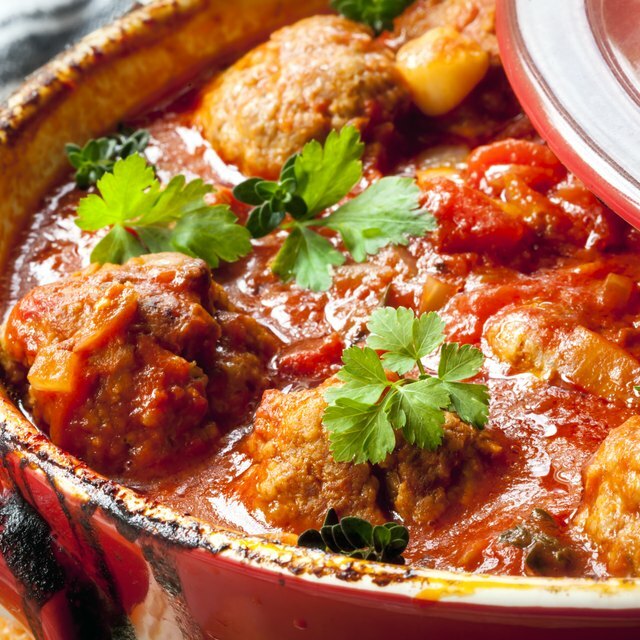 Slow cooker meals can typically be frozen easily by individual portions. Do not use your slow cooker to reheat foods.